I just got back from a really cool trip to the Alaskan arctic with NanaNordic. I flew from Anchorage to Kotzebue, and then from Kotzebue took a single-engine bush plane to Buckland, Alaska. Buckland is a tiny Inupiaq village with a population of about 400 people on Alaska’s Bering Sea. Its pretty isolated; the nearest village – Deering – is over 50 miles away by snowmobile. The community was really friendly and the kids were all super excited about skiing. 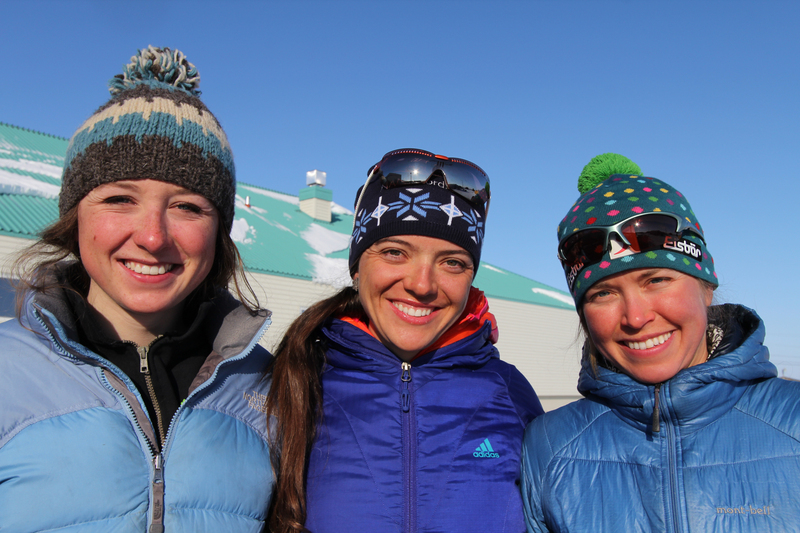 The goal behind NanaNordic is to introduce skiing as a lifelong sport in rural Alaska. 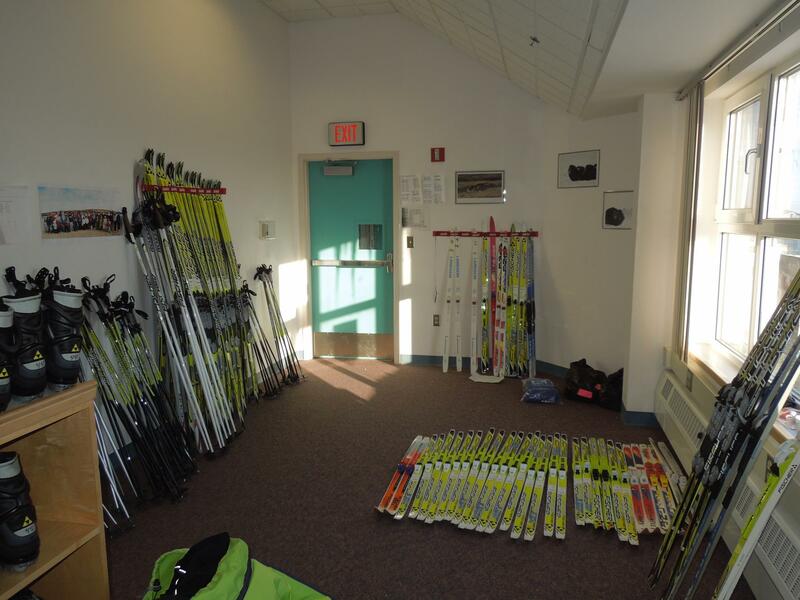 The program this year bought over 300 pairs of skis, boots, and poles, with the goal of giving every student in the Nana Region to opportunity to learn how to ski. I was volunteering with a great group of coaches led by Dartmouth alum Zach Hall. The other coaches in Buckland were Sara Studebaker, Ryan Donovan, Bre Donovan, and Taryn Hunt-Smith. The kids were SUPER pumped to ski with us! We ran ski lessons during PE and then held two additional sessions after school. There were about 130 kids in grades K-12 at the school, and well over 100 showed up again every day for the after school sessions to get a second ski in! We had 50 sets of gear, and for the after school sessions we ran out every time. The ski room! We brought 50 sets of skis, boots, and poles. A bunch of the skis were left behind for the kids to use throughout the coming year. Kids waiting in line to check out gear for one of the after-school afternoon sessions. Our coaching schedule was super busy… We did seven one hour-long PE classes during the school day and then two 1.5 hour sessions each day after school. We were basically out skiing nonstop from 9 am until almost 7 pm every day. It was pretty exhausting, but totally worth it and really rewarding to see how much fun everyone had! 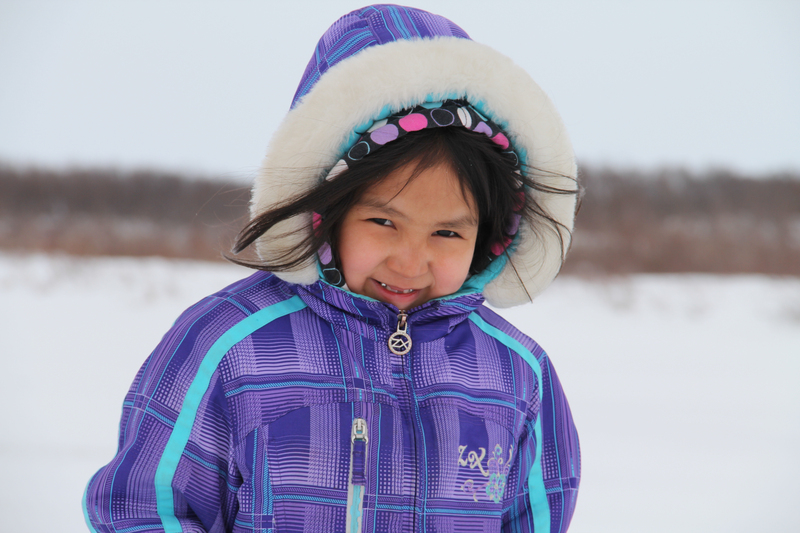 The language originally spoken in Buckland was Inupiaq, but now only a few elders speak Inupiaq fluently. 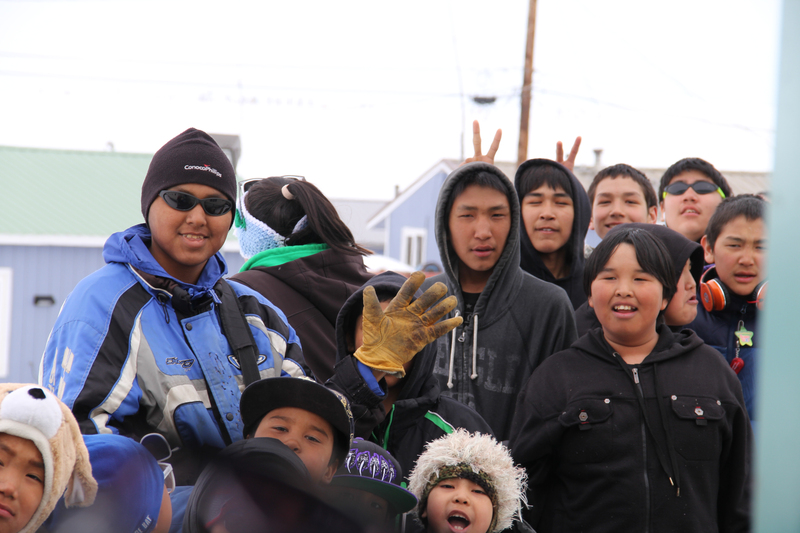 The school district is making an effort to save the language and the kids take Inupiaq lessons in school, but everyone spoke English as their first language. The dialect in the village was fascinating and the local lingo took some getting used to. One of the coolest things was the way facial expressions were used – a quick eyebrow raise meant a yes, and a scrunchy nose meant a no. It was an awesome week! 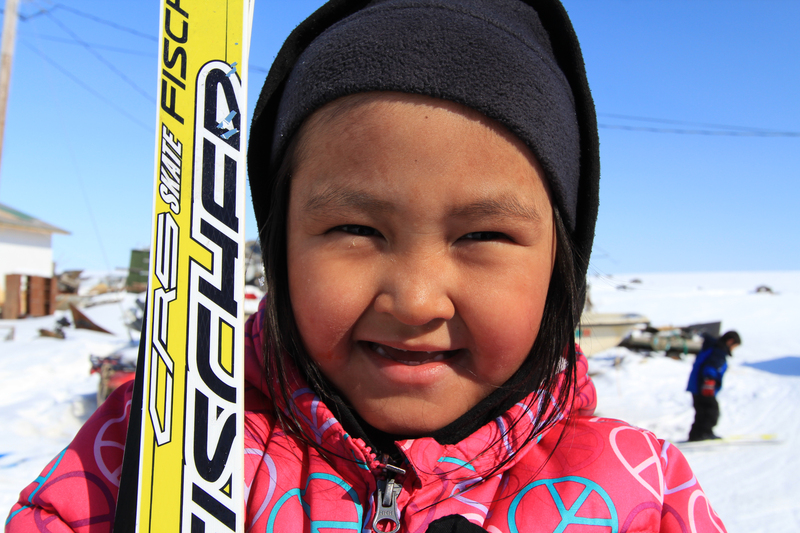 Check out the NanaNordic website at http://nananordic.com/ for more info on the program. I’m working on editing a video for the week, so stay posted!